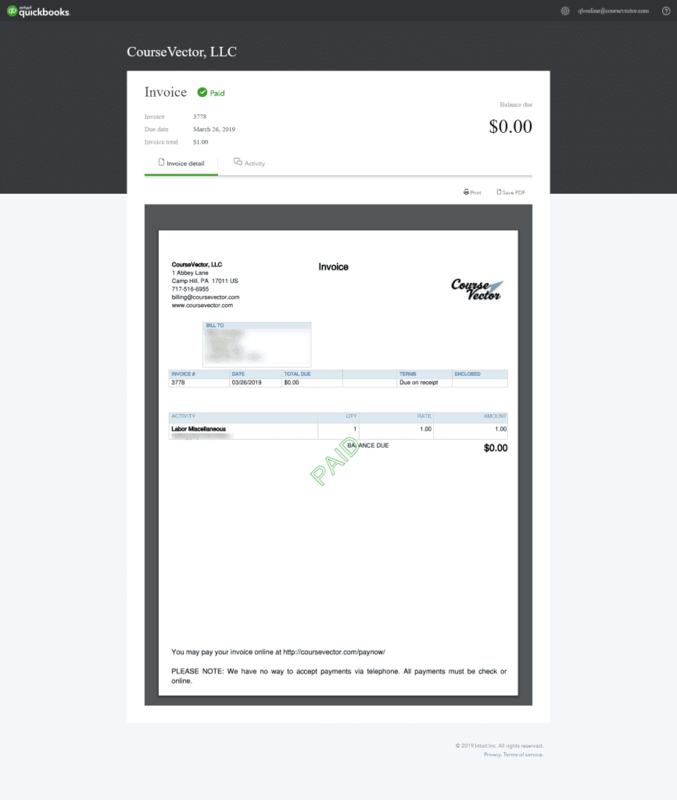 In an effort to make paying your bill easier, CourseVector has updated the way invoices are paid. 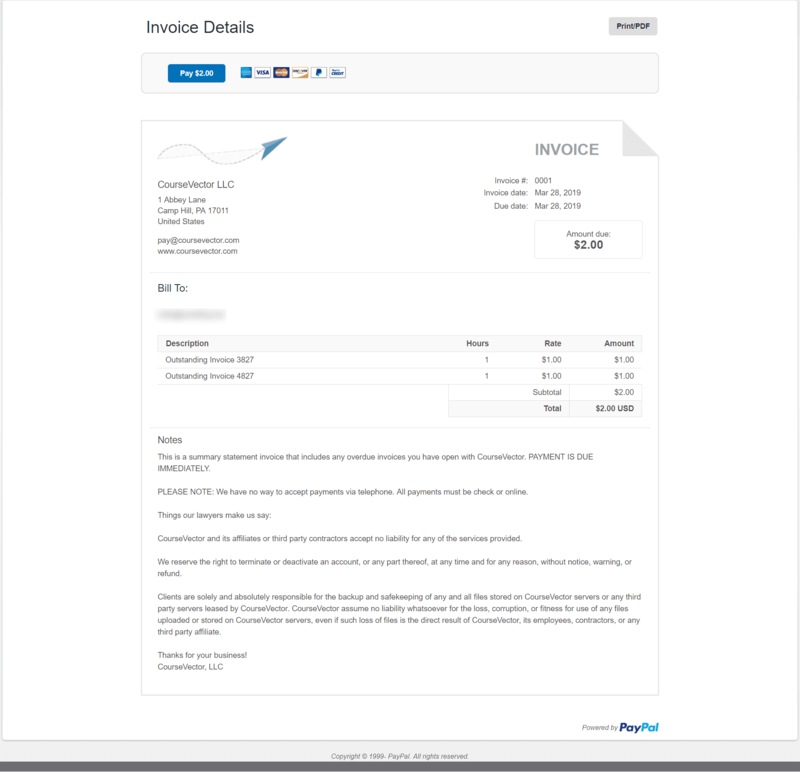 Now, instead of filling out a form and paying through PayPal, you can pay right from the invoice in your email! That’s right – no more two-step, two-form payments. The invoice comes to your inbox as it always does. Instead of going to our website to pay, just click the link right there in the email – “Review and pay”. The invoice will open in your browser. From here, you can pay now by clicking the green button, or print it on paper or save it as a PDF for your records. After you click the “Pay now” button from your browser you are automatically taken to the payment portal. No more forms to fill out! Simply put in your information and pay the bill! After you submit the payment, you will see the invoice again, just like before, except it will say PAID in big, green letters. If you prefer, print or save this version of the invoice for your records before you close the window. For an overdue invoice, we will send a reminder. 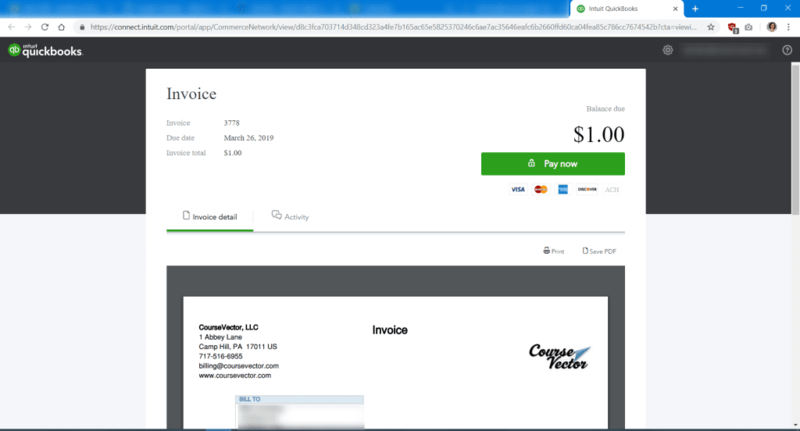 The reminder is a copy of the invoice, that will have the payment link right in the email. If you receive a statement, the payment method will change slightly. Because a statement and an invoice are not the same thing, there is no pay now link in a statement. You will need to pay using PayPal. Instructions will be sent to you along with the statement. We are always here to help! 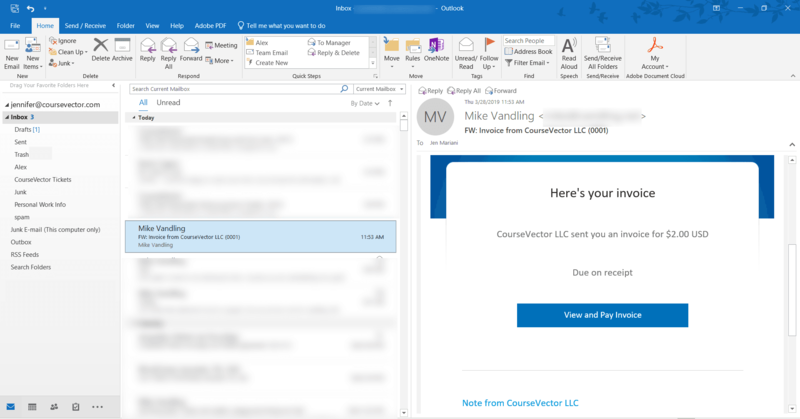 If you have questions, comments, or concerns, please email support@coursevector.com. Why won’t my invoice open? We have had customer complain that the invoice will not open in Internet Explorer. Unfortunately, Internet Explorer is too old, and is not compatible with Quickbooks Invoices. Please try Edge, Firefox, or Chrome instead. What if I don’t have a Review and Pay button? 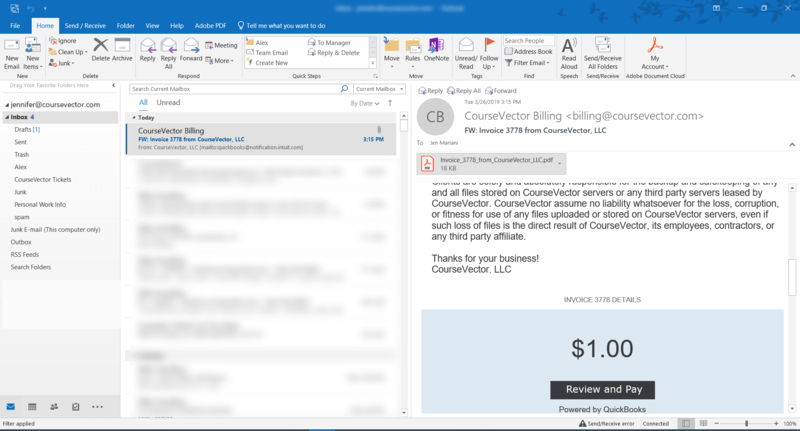 Please email support@coursevector.com if you do not see the “Review and Pay” button shown above. We have to go in and touch each and every recurring invoice. There is a chance that yours did not take. We will hit the check box and resend the invoice.